Upstream, a student advertising group at the UO School of Journalism and Communication, will compete at the district level in the National Student Advertising Competition at the Turnbull Center in UO Portland’s White Stag Building. 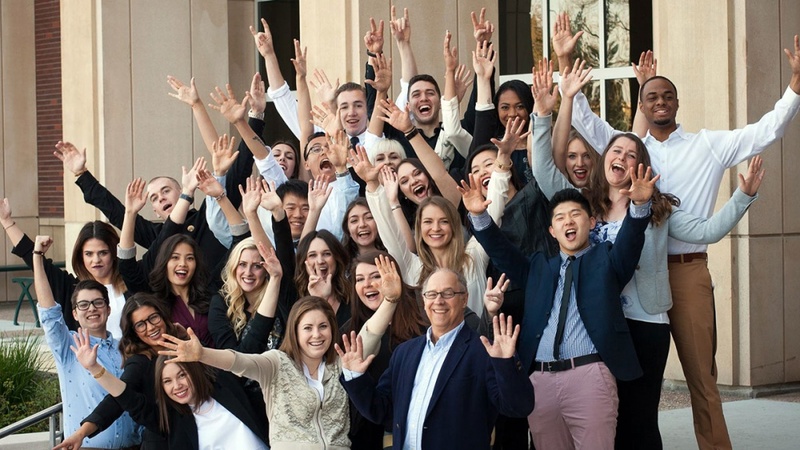 Some 2,000 students will take part in the April 21 competition, earning real-world experience creating strategic ad campaigns that include advertising, marketing and media for an existing corporate client. The plans are then pitched to national advertising professionals at the district, semifinal and national levels. David Koranda, a senior instructor of advertising, was advisor to the team in 2015 when it won the national championship, beating out more than 200 other college chapters in the competition. This year’s client is TaiPei Frozen Foods. Students will form a small ad agency and work from a client brief to develop a campaign. The winner from each of the 19 district competitions will proceed to the semifinal round and question-and-answer session with the client. Eight finalists will be selected to present plans to the client at the American Advertising Federation conference in New Orleans June 7-8.